An effective way to get systems from development to the field is through something called “physics modeling.” As its name suggests, physics modeling uses all sorts of physics data – from speed, weight, vibration and torque to temperature, humidity, wind, dust, ballistics, and even aging, to name just a few – to simulate real-world conditions that a new weapons system might be subject to. New systems, shown here, were on display at the Association of the United States Army Annual Meeting held in Washington, D.C., earlier this month. Winning in an increasingly complex world means overcoming unforeseen and rapidly-emerging threats. Holland, who is director of U.S. Army Engineer Research and Development Center, or ERDC, at the U.S. Army Corps of Engineers in Vicksburg, Mississippi, spoke about engineered resilient systems, or ERS, here at the National Defense Industrial Association-sponsored 18th Annual Systems Engineering Conference, Oct. 28. He further described the problem, saying a lot has to do with getting the best possible design at the start of the research and development phases. “You’ve gotten used to plug and play inside your automobile. That doesn’t exist in the realm of weapons systems we have today,” he said. The other day, Holland said he received a call from an Army weapons manager who needed a prototyped weapons package to fit into both a helicopter and a ground vehicle and was having a hard time figuring out how. The point is that systems designed yesterday were designed without even trying to anticipate tomorrow’s requirements, he said. As its name suggests, physics modeling uses all sorts of physics data – from speed, weight, vibration and torque to temperature, humidity, wind, dust, ballistics, and even aging, to name just a few – to simulate real-world conditions that a new weapons system might be subject to, he said. Modeling material life and failure would be the Holy Grail for program managers, he added. 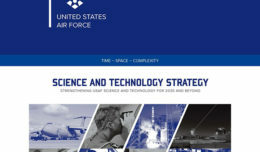 Special analytics software is run on DOD’s High-Performance Computing Modernization Program and the Defense Research and Engineering Network to test these new systems, he said. Super computing power is needed with all of those variables. The tests can and do push various designs to their limits and then beyond to failure. Analysis of the best design can then be made, meaning what materials to use, the geometry of those materials and trade-space analysis, he said. The latter means looking at tradeoffs of cost, maneuverability, speed, component size and so on. This information is then provided to the acquisition and requirements community as well as the policy makers, he said, giving them a powerful tool from which to inform their decisions. The Army and its industry partners are fortunate to be able to tap into these high-performance computers, he added. 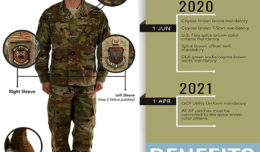 The tipping point for the Army, and for everyone else in DOD for that matter, he said, was the cost savings ERS could bring to the table, an important consideration in this cash-strapped environment. “Two years ago, we were at the point where we didn’t know what we didn’t know. Now, we’re about at the point where we know what we don’t know,” he said, meaning ERDC is still at the beginning of the learning curve. Once the Army got onboard with ERS a few years ago, things happened very quickly, he said. 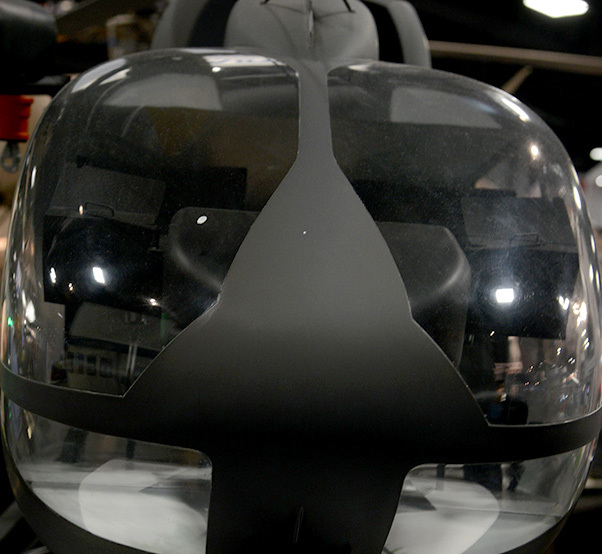 ERS became a fully-funded program of record and ERDC began applying ERS to Army helicopters and vehicles as well as Navy ships and submarines and Air Force jets – but only for some components. Holland said the plan for ERS is by 2017 to 2019, to do the capability integration, testing and fielding and by 2020 to 2024, making the full transition to all weapons systems acquisitions. In other words, by 2024, all new DOD weapons systems would have gone through rigorous ERS testing. Dr. Marvin Moulton, lead aerospace engineer for U.S. Army Research, Development and Engineering Command at Redstone Arsenal, Alabama, said he collaborated with ERDC and used ERS data for designing more efficient and effective rotors for the CH-47 Chinook helicopter. He’s currently using ERS data to evaluate the tail rotors on the AH-64 Apache and UH-60 Black Hawk helicopters as well. 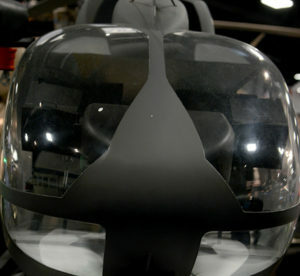 Future plans are to incorporate ERS into an air-worthiness assessment of the Gray Eagle unmanned arial system as well. Moulton said getting the numbers crunched in the computer is pretty straightforward. The hard part, he said, is getting all of the current flight performance data variables needed to feed the computer; such things as lift, speed, maneuverability. A lot of the documentation was missing or nonexistent, so, he said his team had to find subject-matter experts to interview, some of whom had retired. All that information was collected and is now documented and archived. In just two years, “we’ve taken those big [computer] machines and increased the productivity of using those capabilities 10,000 times,” Holland said, noting that he would have never believed the rapid progress made. ERDC is always looking for new talent, he added. A lot of good and knowledgeable people are retiring or plan to soon. Meanwhile, some defense industries have already started “digital manufacturing,” a term that’s also used for ERS, he said. Holland toured an industry plant recently that had gone digital and was told that when the Army goes to fully digital manufacturing “it will make our lives better,” meaning his company and the Army could share ERS data. One of Holland’s other titles is lead for DOD’s ERS Community of Interest, or CoI, one of 17 such communities and the newest one created by the defense secretary. He said to become a CoI is a big deal and means DOD is fully committed to it. At this point in time, it’s not a question of should the Army use ERS, it’s a matter of “we cannot afford not to use ERS,” he concluded. Kristen Baldwin, principal deputy to the deputy assistant secretary of defense for systems engineering, said Holland and his team have “done an amazing job in leading the charge,” and the use of ERS has spread across DOD as a result. She said the ERS modeling must also continue to focus on cyber threats to systems and must be “red teamed,” meaning engineers must try to attack their own systems in numerous ways to uncover possible vulnerabilities. 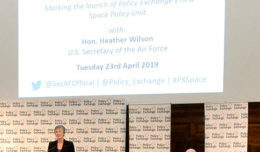 Sharing physics modeling data with industry partners is good, but everyone must be mindful of operational security, as there are a lot of adversaries who would also like to get their hands on that data, she warned. Baldwin concluded that ERS is an important part of Better Buying Power 3.0, a DOD-wide initiative that aims to increase the productivity and efficiency, effectiveness of new systems at an affordable price.